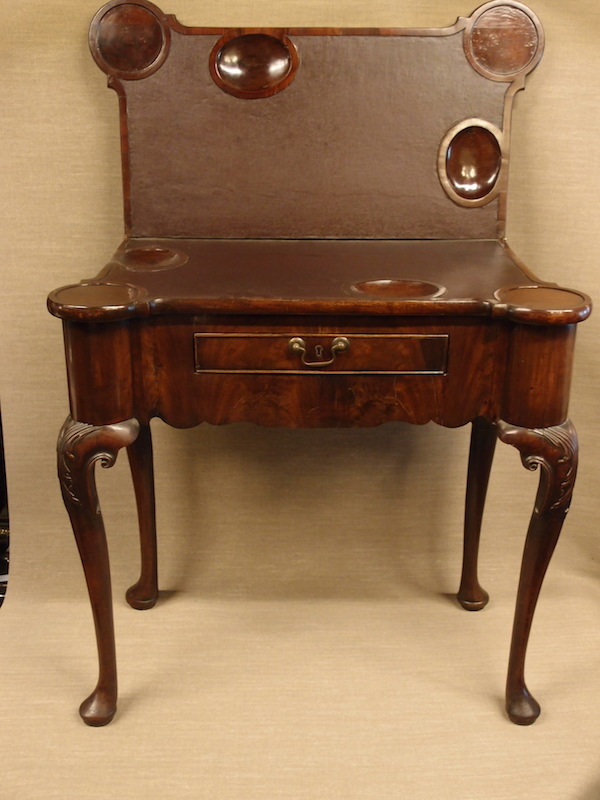 A fine and rare turret top card or games table in Cuban mahogany, with a single rear gateleg to support the foldover top. The cabriole legs terminate in club feet and are finely decorated with carved acanthus leaves at the knees. There is a single drawer, with original brass swan neck handle. The top is particularly rich, having the dished corners at the top of the "turrets" to fit candlesticks, and the oval wells for coins or tokens. The flat surface of the table is in textured brown leather. 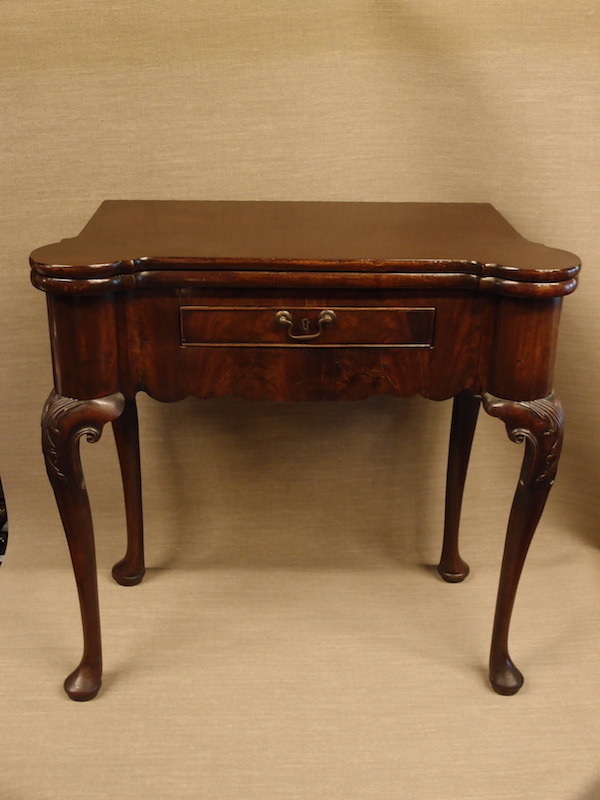 A fine and rare turret top card or games table in Cuban mahogany, with a single rear gateleg to support the foldover top. The cabriole legs terminate in club feet and are finely decorated with carved acanthus leaves at the knees. There is a single drawer, with original brass swan neck handle. The top is particularly rich, having the dished corners at the top of the “turrets” to fit candlesticks, and the oval wells for coins or tokens. The flat surface of the table is in textured brown leather.